The only part of this recipe that I’m unsure of is the packet of hearty beef soup. It does say you can substitute a can of condensed hearty beef soup, but I’m not sure that beef stock and extra vegetables, carrots or celery, mightn’t be a better way to go. 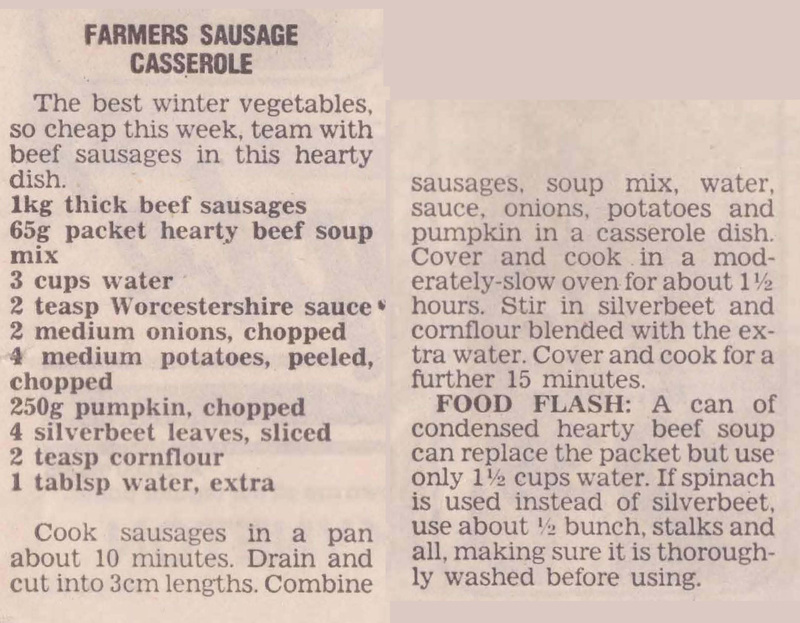 This entry was posted in All Recipes, Main Dishes, Sausages and tagged 1980s, beef sausages, farmers sausage casserole, potatoes, pumpkin, sausage casserole, silverbeet, worcestershire sauce by bebsrecipes. Bookmark the permalink.